Furniture, clothing, temporary housing placement, food assistance, and benefit counseling. Free or reduced clothing is made available in cooperation with the Red Bird Mission Community Store. 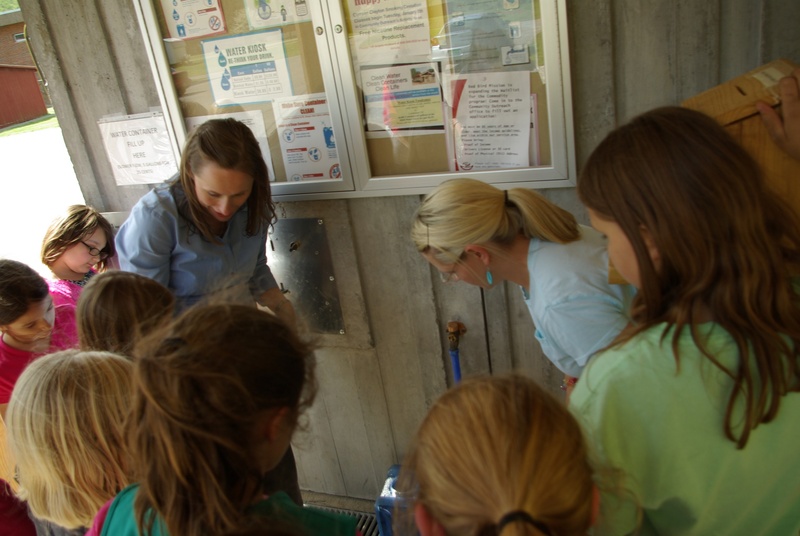 Safe, clean water filling station provided at a minimal cost of approximately 5 gallons for a quarter. Kiosk is located across from the Community Store. Community Outreach provides food for families in crisis through partnerships with: Red Bird Missionary Conference, Family to Family, federal grants, and donors. 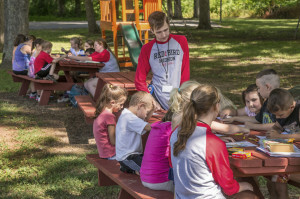 In partnership with the Food Emergency Shelter Grant, Red Bird Missionary Conference, and Red Bird Christian School a Backpack food program began in 2014. Students in need are given a bag of easy to prepare and nutritious food to get them through the weekend without going hungry. The bag is discreetly placed in the student’s backpack on Friday afternoons during the school year. 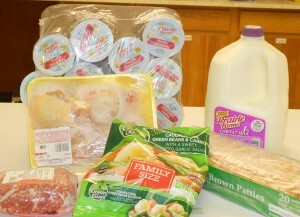 Provides free groceries each month to more than 190 low-income seniors and children. An eight-unit apartment building provides housing for elderly or disabled low-income citizens. Seniors in a 3-county area receive health education, socialization, recreation opportunities, congregate meals, quilting “bees”, craft classes, educational workshops, and transportation to and from the center three days a week. In-home care is provided to home bound elderly through housekeeping, personal care, and transportation. This is a therapeutic social program of supervision and care provided to eligible individuals to enable the caregiver temporary relief. Hot meals are delivered five days a week to the homes of the elderly in need. Literacy training, computer classes, job skills training, and General Education Development (GED) courses are offered by trained volunteers to adults in the area. Local Community Based Service offices partner with us to provide job readiness training to parents receiving welfare and low income adults receiving food stamps. Free Tax Preparation is also available for low income families and individuals. Families receive instruction and materials assistance to expand horticultural and livestock family food production boosting family nutrition and income. A community-led group organizes regular continuing education, seasonal farmers markets and greenhouse production and placement of livestock. We thank Heifer International and GBGM Women’s Division for starter grants 2006 – 2011. Currently the community is able to continue use of an extensive education library and commercial equipment. The equipment includes a headgate, small trailer, and chicken processing equipment. We hope that, through independent donations, we will be able to continue this project for years to come. 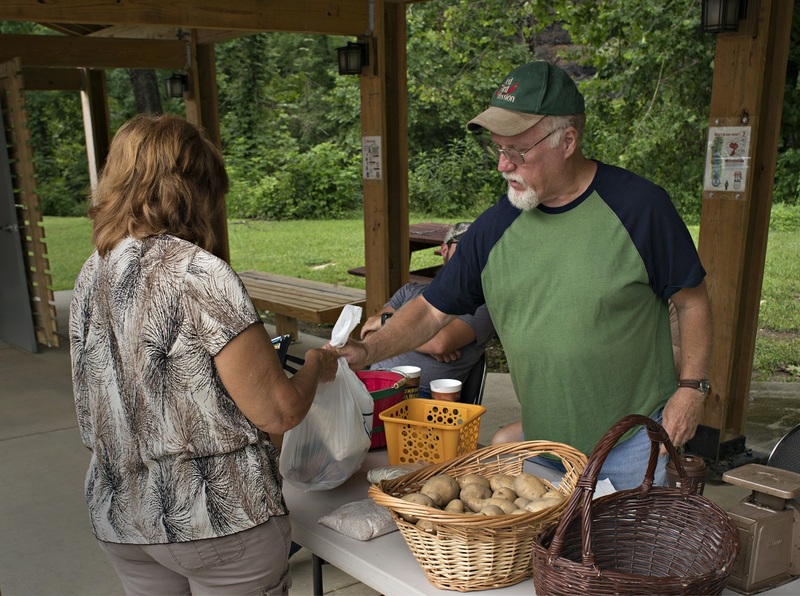 Grow Appalachia has received funding for its third year though a program established with Berea College. This year the program is planning to serve 55 families. Grow Appalachia is an outreach education and service project of Berea College. It is funded by the generosity of John Paul Dejoria, co-founder and CEO of John Paul Mitchell Systems, Inc. Red Bird Mission is one of the partner organizations that participate in the Appalachia region to improve healthy food options for families, create potential income opportunities, and education of basic gardening, cooking and food preservation skills. Provide Christmas gifts to 1000 or more low income families and their children annually. Fruit baskets are prepared and distributed to the elderly citizens in the community. Mother’s, with a first child up to age 3, participating in the program are given access to the Mission’s Baby Pantry to replenish much needed baby supplies each month after their home visit. Another program offered is an after school program for kindergarten through 7th grade students at Red Bird Christian School. Students are provided with a snack, homework help and safe environment to play and socialize. This provides a way for many students to participate in after school sports and activities as well as avoid children at home without supervision. Back to school assistance in the for of backpacks and essential supplies are available to students who qualify. A seven-week summer day camp for area youth ages 5-15 that enriches their experiences through the use of daily curriculum that includes Christian Disciple-makers, Pulse, Life-skills, Environmental Discovery, Wise Lives, and more. Each year three community teen leaders are hired and provided leadership training to assist in the camp. Annual Community events include a Tri-County Health and Resource Fair. Monthly community education classes offer topics such as nutrition/health, budgeting/credit counseling, parenting skills, and more.